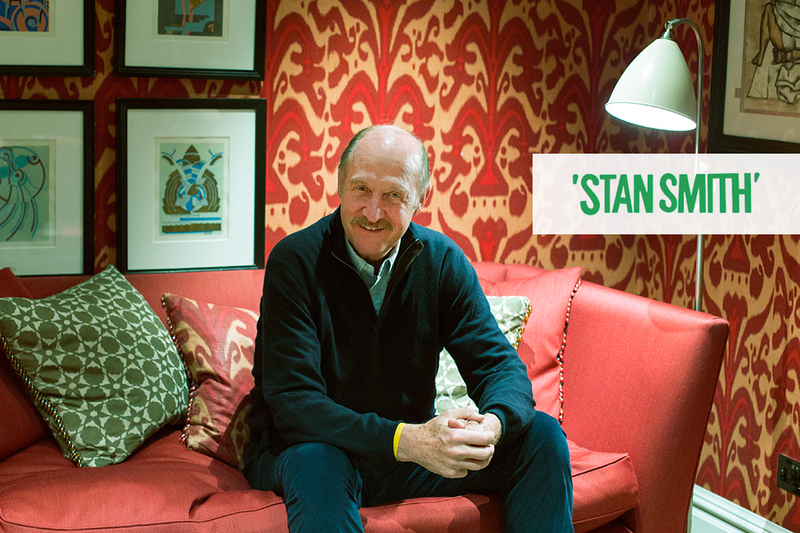 With adidas Originals putting the original Stan Smith back on the shelves tomorrow morning, we took some time to chat with one of tennis’ biggest names and one of the most recognised names in sneaker history as well; Stan Smith. 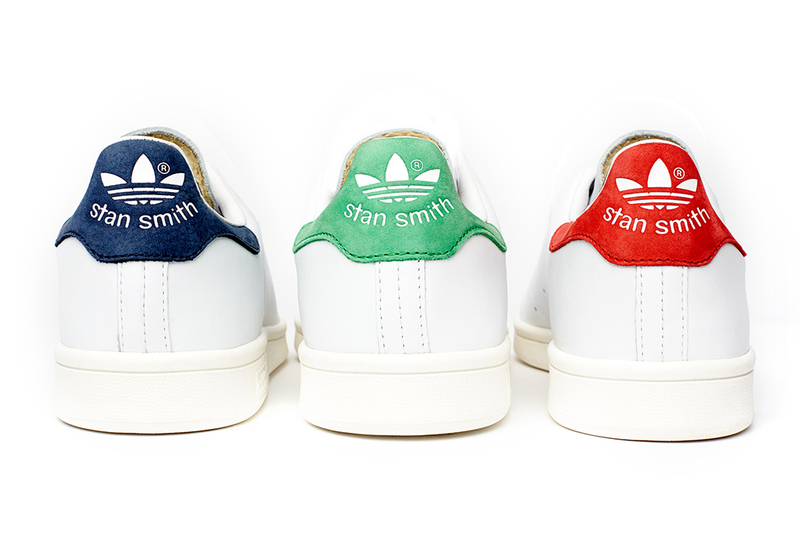 I’d been told before that Stan Smith was one of those characters, one of those people with a story for everything and a cheeky, boyish smile on his face… and he didn’t disappoint. As I entered the quiet, cosy room in the basement of the Covent Garden Hotel, I found myself walking up to one of the most famous sportsman to have lived. Just as this thought was starting to run through my head, the figure stood up from the table, stretched out a welcoming hand and with one of the most cheeky grins I’ve seen in a long time he introduced himself; “Stan Smith”. It’s hard to explain, but there was something about this introduction, about how he revelled in the idea of me knowing exactly who he was and having no need for an introduction at all, but not in an arrogant way, more in a way that suggested that he found his fame entertaining or almost funny, that set the tone for the entire interview ahead. I regard myself as incredibly privileged and humbled to be in a position that sees myself often sat at the table with exceptional people, enough so that it’s not until after I’ve exited these occasions when I no longer need to professional that what has just happened sinks in and I become a giddy school child briefly to myself. The one thing that has struck me each and every time I meet someone who I would regard as a hero of sorts is how calm and modest they are, and Stan was no exception to that rule. There was no arrogance, no ego, no exaggeration or diva tendencies in the slightest. I guess it’s something that tabloid press and celebrity culture has bred us to expect from people of stature, but it’s quite the opposite. How does it feel to once again be launching your adidas shoe? Well it’s great you know. It’s been a quick 2 years that it’s been off the market. It seems like only yesterday that it was still on the market, so you know, it’s been about 40 something years now on the market. It’s been a fun ride! The shoe has gone from the simple shoe, which is coming out again, to all sorts of permutations of the shoe. Different colours, different looks, different materials, that sort of thing. It’s fun to see this original shoe coming out again because that was the start. How did you promote the launch of the shoe the first time around? Well, at the time adidas wanted to get more of a worldwide exposure of the shoe and especially in the United States and I was the number 1 player in the US and the number 1 player in the world at the time, so we talked about getting together. Horst Dassler, who was the head of adidas, Adi’s son, and Robert Haillet designed the shoe and it was really a French shoe because Robert Haillet was the number 1 French player at the time. So they started the shoe and then in ’71 we started talking about expanding the breadth of the brand and to put my name on the shoe as well. Both his name and my name were both on the shoe at the time for about 2 and a half, maybe 3 years and then his name gradually evolved off the shoe. 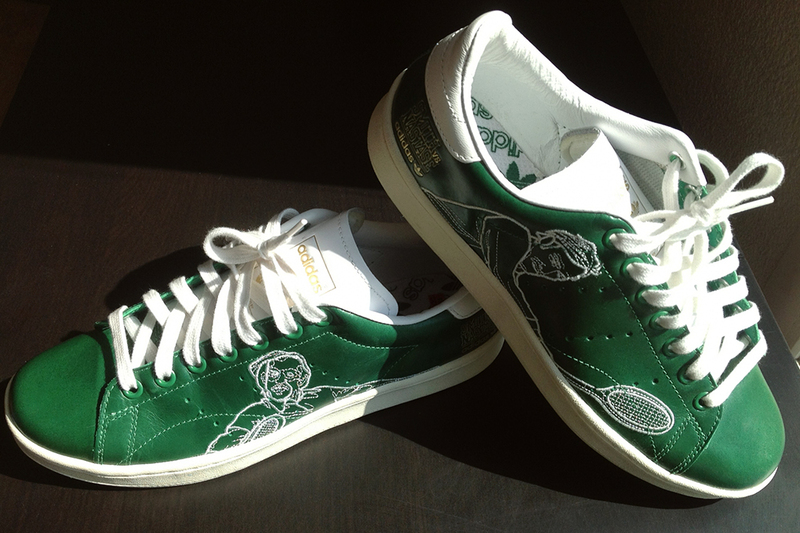 So the original promotion was really the Haillet shoe endorsed by Stan Smith and then within a few years it was just the Stan Smith shoe and Robert was moved off the shoe. How did you manage to pull that off? Well, you know it’s funny because Robert died about a year and a half ago and his son Jean was a good tennis player too and we stayed in touch and I saw him when I was in France, and one time we had a big party and the Guinness Book of World Records came to give me a certificate, to give adidas a certificate for 22 million pairs of shoes, it was a record at the time, so Robert was there and it was kind of bitter-sweet; he was excited about the fact that it had done so well, but he was not on the shoe. But he was at the party and it was nice. Did you have any input in the original design at all? None at all. 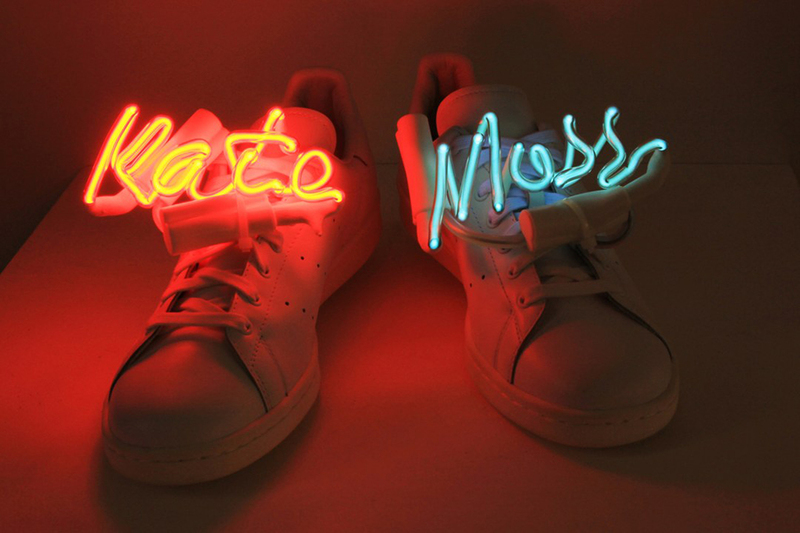 Robert and Horst designed the shoe. It was the first leather tennis shoe. adidas had made leather shoes for running, and football and that sort of thing, but not for tennis. They designed the shoe and then put my name on the shoe. One of the things I suggested was maybe to build up the tab at the back to be a little more support for the achilles tendon, but other than that the shoe has not changed. The shoe that’s coming out on the 15th will look exactly like the shoe was. And when they first told you it was going to be a leather tennis shoe, what were your thoughts? Well it was high tech [laughs]! It’s certainly not a performance shoe now, but it was. At that time, it was the most high tech performance tennis shoe on the market. We used canvas shoes before that and so this was something to give us more support, to last lounger, to be a better performing shoe. It was funny because the ATP and adidas had a contract where the ATP players wore the clothing and the shoes; maybe 80 or so players that were not under contract like individual players like Ashe who had his own shoe and his own line, that sort of thing. At Wimbledon what they did is they put a different bottom on it, a herringbone bottom on it and they put 3 green stripes on it and it was only for grass. 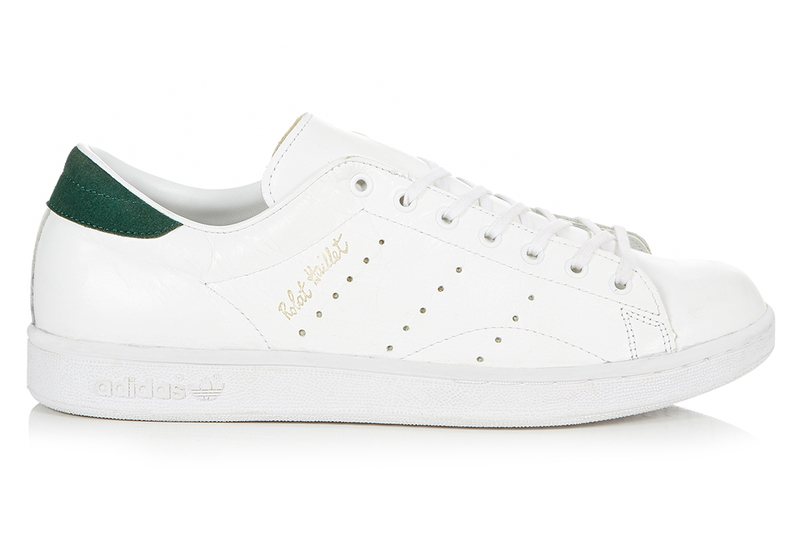 All the players under contract with the ATP and with adidas were wearing that shoe at Wimbledon, so there was at least 80 players who were all at Wimbledon but probably half the draw was wearing the shoe because it was the most high tech grass court shoe. At the time, you were not allowed to have anything on the bottom of the shoe to grip the grass. The herringbone was better than the sole that’s on there now, my sole, they felt it was better for grass because in fact a couple of the canvas shoes had that herringbone bottom. I think it was the Dunlop Green Flash or something like that, it was a canvas shoe that Australians wore particularly on grass, that had a herringbone bottom. In fact, when Borg won Wimbledon the first time, he was wearing a shoe that’s very similar to the shoe that all the players are wearing now. All the players from all the different brands have the same sole on their shoe and there are all these nubs that stick out, not like my shoe, they’re really visible nubs and there’s I don’t know how many on the shoe but there’s probably 400 little nubs on the shoe and that’s the sole on every shoe wether it’s a Nike, Reebok, adidas. Whatever the brand, they all have the same sole, which has been approved by Wimbledon, but that was a shoe that Borg wore with Diadora and in fact it was illegal for the first couple of years he won the championship and I really believe that the officials turned a blind eye to him. And in fact he won some matches early in the tournament, which is when the courts are the most slippery and possibly it was because of the shoe. So anyway, my shoe that had a herringbone bottom and the 3 green stripes was only used on grass. A lot of the players wore my shoe as well and I remember losing to a guy wearing my shoe, which was a little bit awkward the first time [laughs]. Do you ever look back and laugh that technological developments back then were as simple as making the upper leather? Yeah, I mean today the shoes have so many bells and whistles and they’re so much better for performance that in retrospect you say “How could that be considered such a high tech shoe?”, but the sole was good and still it’s the same sole. Not the herringbone sole, but the rubber sole that’s on there is great for clay and great for playing on hard courts or indoors, so it’s a good sole for tennis, but the top part is certainly not as supportive as they are today. The adidas Barricade is probably the most popular shoe on the Pro Tour now, in fact Djokovic wears that shoe and he’s not even wearing the adidas clothing, he’s wearing something else. He loves that shoe so much that he still wears the shoe. You clearly have a very in-depth knowledge of tennis shoes and the technologies. Does that expand outside of tennis shoes into sneakers in general or is it just a performance piece for you? Well I’ve become a little bit of a fan about it and certainly I’ve talked to a lot of people who are absolute fanatics, sneaker fanatics, and they certainly know more than I do about shoes and the evolution, but I have a pretty good grasp on what my shoe’s done and tennis shoes in general since then. There’s a generation coming through who are likely to know you as a shoe rather than a tennis player. How do you feel about that? Well it’s interesting. I don’t know if you know Jack Kramer? You may not know that name at all, but when I was playing first I had a Jack Kramer racket and probably 6 out of the top 10 players in the United States were using a Jack Kramer racket. Jack Kramer was a Wilson racket and then there was a Spalding racket that Poncho Gonzales had his name on, but by far the most popular racket in that time from the ‘60s through the ‘70s was a Jack Kramer racket. Now I knew Jack Kramer and Jack Kramer if you’re a tennis fan could be considered maybe the best player that’s ever played. 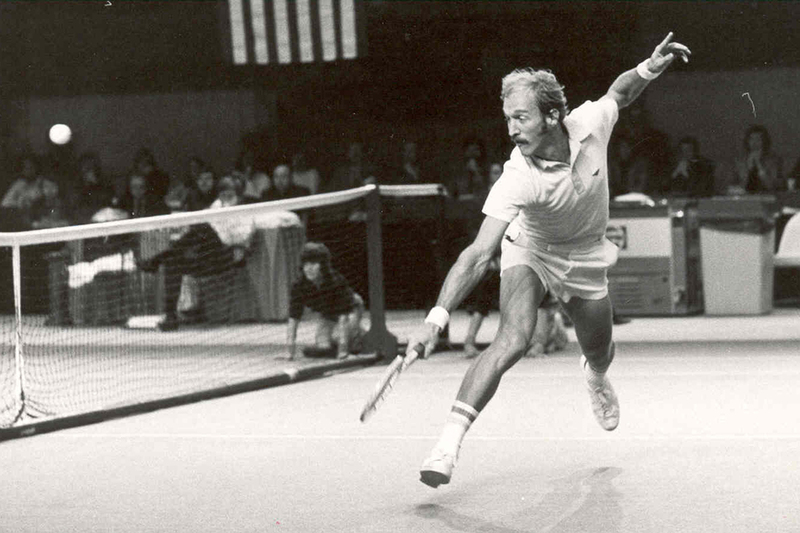 He also was the driving force of professional tennis. He’s really the father of professional tennis. He helped start the ATP and I was one of the founders as well. He was the Executive Director of the ATP. Before the ATP he ran a pro tour and he would offer the top players in the world, amateur players like a Laver or Hoad or Rosewall, he’d offer them a contract and they’d play these head to head matches around the world and they weren’t allowed to play in the Grand Slam events because they were professionals. This was before 1968 when tennis became open and professionals and amateurs… well now it’s all professionals really. Anyway, my point is that Jack Kramer had the most popular racket ever and he could be considered one of the best players that ever played the game, but you wouldn’t know that. If you’re a tennis player you might know the name, but you wouldn’t know what he did and so that was sort of the background that I had. I gave a clinic one time to a bunch of 12 year olds and I was 35 at the time. I didn’t want to use my name because I figured they wouldn’t know who I was, so I used Björn Borg who was about 7 or 8 years younger than me… I’d think “Certainly these kids would know who Björn Borg is” and I’d say “Who wants to be like Björn Borg?” and they looked at me like “Who’s Björn Borg?” and it gave me a historical perspective, knowing that unless you’re out in the media constantly for 20, 30, 40 years, you’re not going to be known necessarily and certainly that’s the way I look at it. So in answer to your question, I think it’s amusing, but it’s a historical thing. People know who Churchill is, but if you ask young people in the United States, some wouldn’t know who Churchill is, 17 year olds that haven’t studied history. That might be an extreme example, but that’s the sort of way I look at it. Even today, tennis players wouldn’t know who Laver is, or Kramer or Hoad or Gonzales, some of these great players who were 10 or 20 years older than I, because they’re not into the history of the game, they’re just paying the game. Now some players really appreciate the history of the game, like Federer has studied the history and I think Djokovic has done. I remember when Nadal met me for the first time; he had no idea that I’d won Wimbledon and so he hadn’t really studied it that much. That was his first few years, but I think since then he’s studied a little bit so he knows some of the history of the game. I’ve always thought that players should at least have to know the history of the game that they’re playing. They wouldn’t necessarily have to know the history of the world, or know who Churchill is or anybody else, but I would think that they would, but they don’t have to, they’re playing the game as it is today. So I don’t have a problem with that, to answer your question. Were you never tempted to start you own line or brand beyond the shoe? That’s a good question. I have been actually. I’ve talked to adidas a little bit about doing a clothing line to compliment the shoe, about 5 years ago. There’s a watch with my name that’s come out just before Christmas and there’s been some limited edition type things with clothing. About 10 years ago now they had a N?stase/Smith line that came out in limited edition where they had t-shirts with out pictures on them and our heads on the tracksuit top and one tracksuit top had a big stitched in figure of me hitting a backhand and one with N?stase hitting a serve and so they had a limited edition thing of clothing like that came out about 10 or 15 years ago. When you first started endorsing the Stan Smith with adidas, brand endorsement in sports as a whole was very different to how it is now. What are your thoughts on how the relationship between pro’s and brands has changed over the last few decades? I’m not real familiar with a lot of people who have put their names on brands or owning their own brand. I know that even Borg put his name on a clothing line that didn’t do too well and then he later on endorsed another clothing line and it’s done pretty well as an underwear line. I guess you’d have to have a big presence. I mean Michael Jordan is probably the most prominent name in shoes, but I don’t know if he’s sold more shoes than mine or not yet, but he certainly has been transcended from basketball. He’s a cult figure in basketball and the United Stated particularly, but he’s affiliated with Nike and I don’t see myself going away from adidas, it’s been a relationship for over 40 years now. What attracted you to adidas in particular for your partnership? Well it’s always a quality product, that’s what has kept me with it for all these years – it’s a quality product. Adi Dassler was a boot maker and he wanted to make a boot that performed well and that was his whole thought process at first and then he became a pretty good businessman and created the company, but his first and most prominent thing was to make the best football boot you could make and that’s where the heritage of adidas is, in that sport particularly. To me it was the best brand out there at the time and I still think it’s one of the great brands worldwide. It’s an international brand too, which is attractive because tennis is international. As it is today, tennis has nothing to do with my shoe in a way, as you’ve lauded to [laughs], but it is international and my career has been international so it sort of matches that. Talking about your shoe selling record breaking amounts and going behind just tennis and sport as a whole, what have been your thoughts watching the shoe get readapted in certain fashions and cultures over the decades? It’s amazing to see. Over the years I’ve met people who have loved the shoe. People have come up to me and there have been younger people and older people. What I think is interesting about this whole relaunch is that it’s really being targeted to a younger group of people who would definitely not know my career, instead of going to the people that wore it for 40 years, which I always thought was kind of strange. But it is kind of a cult shoe and I think just the design of the shoe itself and the fact that is has been around has a little bit of a culture to it in itself I think will hopefully be of interest to young people as they look at it and want to wear it again. It’s a timeless look and I think it’s timeless because it’s such a simple look that it works with everything. Certainly it’s not a shoe that I recommend people to play tennis in. It’s kind of a cult shoe. 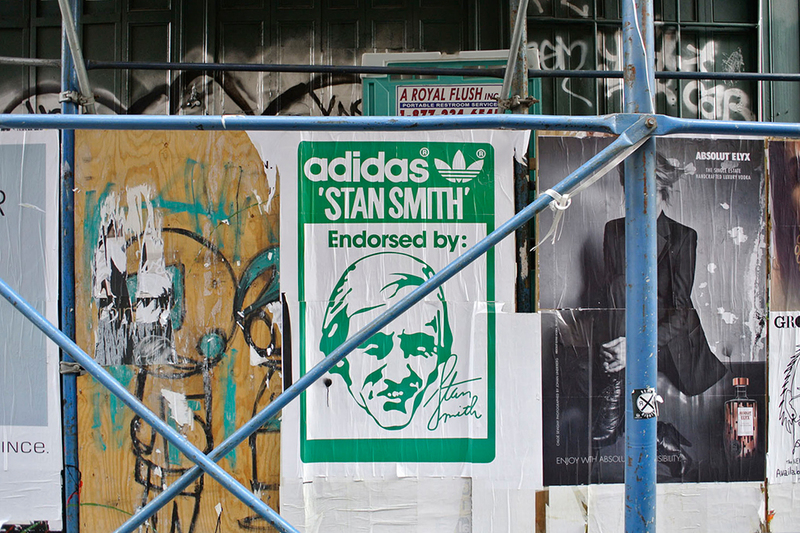 How often do you wear a pair of Stan Smith’s yourself these days? I wear them all the time! Actually, my favourite pair of shoes is actually some mi adidas that I designed. I was in Hong Kong at the time and I designed a pair for myself and my wife and it’s black with maroon and black laces, white eyelets, maroon stitching and suede leather. That’s my favourite pair of shoes. I still wear the shoe all the time. You must have an obscene amount of pairs yourself. Have you kept them all? You know, I wish I’d kept some of the more unusual ones. I mean, I’ve seen them in tiger stripes and that type of material, but suede has been my favourite. In fact, Usher one time in an article said that he had my shoe in every colour because he loved the shoe so much and he loved the different colours. 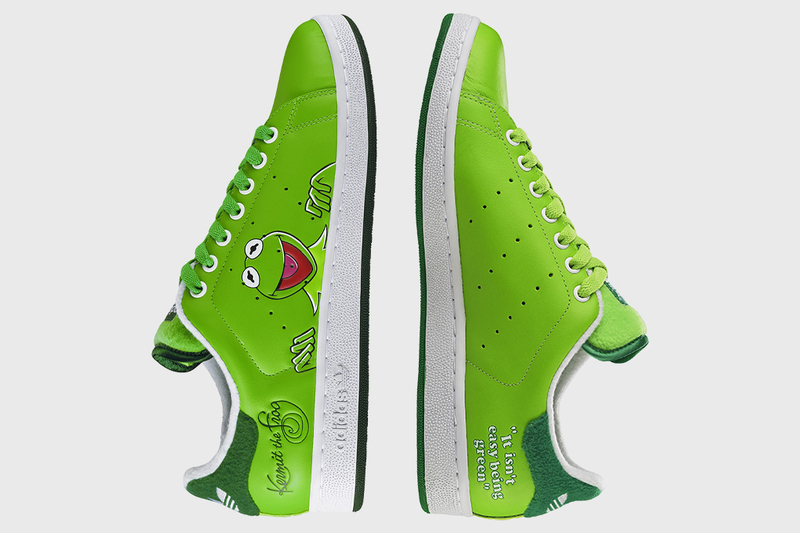 There’s different colours and different designs and they had the Big Bird shoe and the Kermit the Frog shoe. They’ve had bizarre shoes. They’ve even had boots! My wife got a white boot with velcro coloured strips across. But my favourite shoe probably is the baby shoe. The baby shoe is the exact shoe, it’s just a miniature shoe. The first time I ever saw it I was in a subway in Paris and my 2 kids were about 2 and 4, my 2 oldest boys, and we say a lady there with this little baby with the shoes on and I didn’t even know it was being made, and so we asked her in broken French “Where did you get it?” [laughs]. So we got some shoes for our kids. I have a company and so one year as a Christmas gift I gave them one shoe in a plastic cube signed ‘To Jim, from Stan’ and they put that in their office. That’s my favourite shoe. If you could go back and do it all again, would you change the shoe at all? Man, no one’s ever asked me that question. I really haven’t been in control of the shoe. Like I said, I gave some suggestions for the back tab; make it a little bit bigger, a bit higher. One of the things that’s odd about the shoe, from the adidas point of view, is that it doesn’t have the 3 stripes on it. It has the 3 perforated holes. I’ve played in matches in extreme heat and humidity where as I’m running the actual sweat is popping out of the holes and making the court wet, when it’s been really hot. So the holes have a purpose! As far as support is concerned, looking in retrospect, I’d certainly like to get a little more support of the foot and that sort of thing like the shoes are today, if I was playing in them. But I think the key to the whole shoe is the simple, pure look of the shoe that has made it a shoe that people can wear with anything. I’m the president of the International Tennis Hall of Fame now and one night we had a gala to raise money for the hall of fame and 5 young guys in their early 30s came in black tie with the white shoe and they looked great. You can wear them with tuxedo like that or you can wear them with jeans or whatever, so it’s an all purpose thing. Some people get very picky about keeping it white and they polish it and then others don’t like them white.